Improve the overall interior design of your living room, dining room, or hallway with this Lanart Rug Loft Shag area rug. Make your hallway, dining room, or living room more stylish with this indoor plush synthetic rug. High-quality and high fashion, this machine-made rug is perfect for you. Add this solid patterned blue rug to the dicor of your home for a contemporary infusion. 6 ft. X 9 ft. The contemporary look of this Artistic Weavers Benicia area rug adds style to any room. Great quality is assured with this indoor piece made out of plush wool material. This hand-made rug will make a bold statement in your home that lasts. Quality interior design comes in the form of this oriental patterned blue rug. This unique and stylish Artistic Weavers Camarillo area rug will tie any room together in your home. Bring this high quality plush wool indoor rug into your home to upgrade your interior design immensely. This rug is comfy, hand-made, and stylish. This contemporary blue rug has a lovely oriental pattern for an impressive look. This Artistic Weavers Fabrezan area rug is sure to make a statement in any room of your modern home. Designed for your hallway, dining room, or living room, this indoor piece made from plush synthetic material looks and feels great. This rug is hand-made, which ensures a strong product. Quality interior design comes in the form of this geometric patterned blue rug. Include this Artistic Weavers Pollack Keely area rug in your hallway, dining room, or living room dicor for a taste of modern style. Complete your home's contemporary design with this indoor rug made of plush wool material. Contemporary comfort comes in the form of this hand-made rug. Add this geometric patterned blue rug to the dicor of your home for a contemporary infusion. Loft Shag Blue 6 ft. x 9 ft. Indoor Shag Rectangular Area Rug Improve the overall interior design of your living room, dining room, or hallway with this Lanart Rug Loft Shag area rug. Make your hallway, dining room, or living room more stylish with this indoor plush synthetic rug. High-quality and high fashion, this machine-made rug is perfect for you. Add this solid patterned blue rug to the dicor of your home for a contemporary infusion. 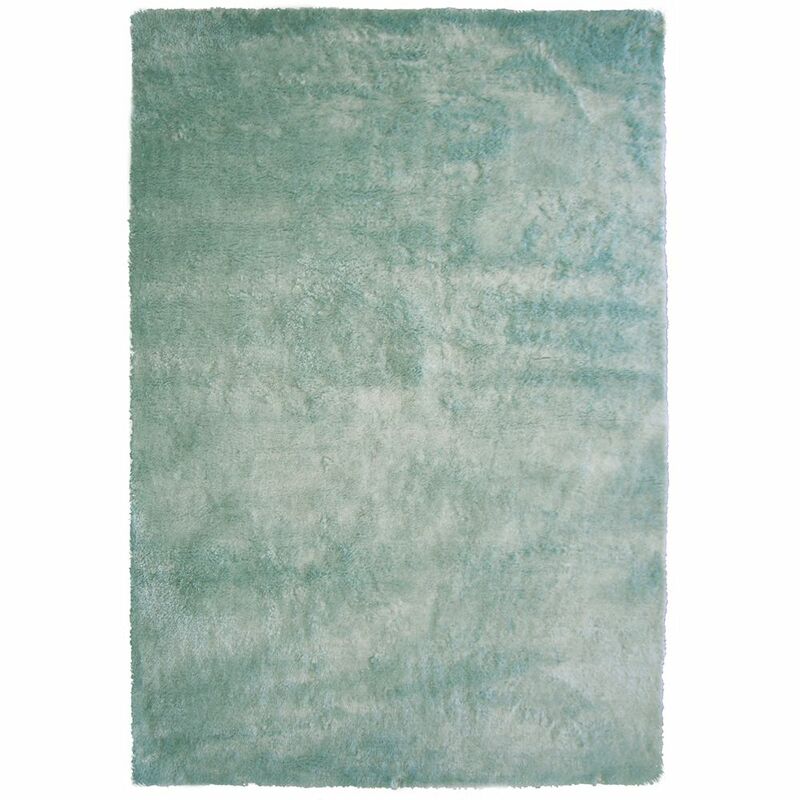 Loft Shag Blue 6 ft. x 9 ft. Indoor Shag Rectangular Area Rug is rated 5.0 out of 5 by 1. Rated 5 out of 5 by 33libra from Beautiful Aqua Colour Sometimes seafoam is in the green color family. In the description it says blues which is what I wanted. So happy I ordered this carpet. I've been looking for this exact colour for a long time.